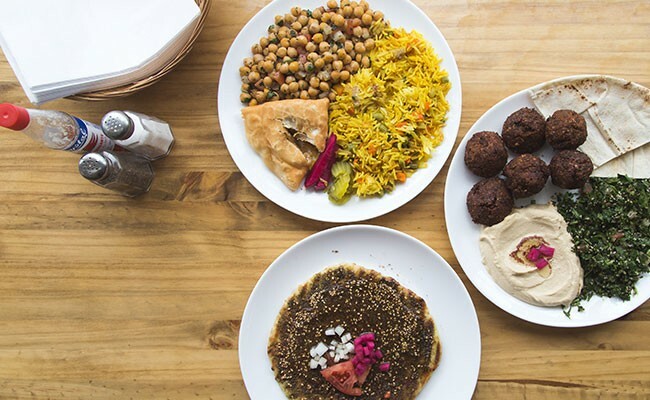 Za’atar, samosa, falafel and hummus are among the Mid-East’s wonders. If you're hungry and walking down Agricola Street, it's hard not to stop in your tracks outside the Mid East Food Centre. The air outside, no matter how chilly, is always warm with rich spices that seem to hang there, enveloping the building and anybody who walks by it in a fragrant hug. Last time I walked by I was on my way to meet a friend for lunch. By the time I reached the Fancy Lebanese Bakery, I had finished texting to tell her we were changing our plans. A half-hour later we were tearing apart fresh pita bread and tucking into thick clouds of garlicky baba ghanouj. The Food Centre has quietly been an important cornerstone of great food in Halifax, the family-run store having now been open for 50 years. One half is a fantastic little grocery store where you can buy Middle Eastern cooking staples like spices, olives and nuts and the other is one of the best lunch counters in town, welcoming to vegans, vegetarians and meat-eaters alike. Choice varies day to day, but it is always your best bet to order the combo platter, which gets you a handful of choices from the display counter of homey, simple foods. From tray to tray, you'll find dishes made with beautiful blends of fragrant, zingy and nutty flavours from spices like za'atar, cinnamon, nutmeg, cumin and warm chilis. It's also never a bad idea to order some msa'a to take home: This velvety eggplant, tomato and chickpea casserole is, no question, one of the best dishes you'll find in Halifax. The combo lets you cobble together something as simple as a falafel platter, the crust of the crispy fried patties made all the more delicious with silky hummus and a fluffy pile of tangy tabouleh. Or pick from savoury chickpea salad, tart grape leaves, nutty kibbeh or tangy marinated artichokes. Dig into a verdant and deeply rich spinach stew, or okra stewed in tomatoes. There are fatayers filled with salty olive paste or feta cheese, samosas filled with spiced meat, cabbage rolls and more. All served with that fluffy, fresh pita bread from their neighbours at the Fancy Lebanese Bakery.